As the year draws to a close, it is time to look back at some of the major releases, events, and features released by Dewmobile, Inc during 2018. 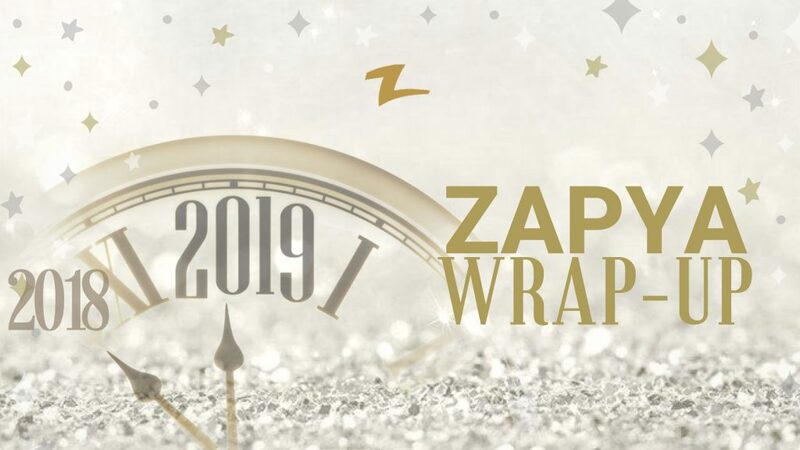 Not only has their main product, Zapya, been continuously improved, the variety of applications made by Dewmobile, Inc. was also expanded upon this past year. As the only paid add-on for the android version Zapya, Zapya VIP offers an option without ads and lets you select important files that you wish to protect and put them into hidden folder so that others do not have access to them when you make a connection. The same features are available on iOS as a separate application known as Zapya Pro. The new local search function of Zapya allows users to easily access and share contacts, ZIP files, documents, eBooks, and entire folders. This also allows for easier access to replicated applications from their old phone and allows quick batch installation. In addition to QR code and radar scanning, users now have one more option to establish a connection on Zapya through using Bluetooth. In most cases, this method connection allows users to skip the password input stage so that they can create a connection faster. It also helps iOS devices find nearby Android devices faster. Thanks to the tireless work of the team at Dewmobile, Zapya now supports all versions of Android. Through supporting the latest versions of Android, Zapya enables new Wi-Fi hotspots and WiFi Direct hotspots for better security and connectivity. Zapya users can now remotely control the mouse on their MACs when they use the application to link the two devices. For the remote control feature, users have to download Zapya for Mac off of the official Zapya Website. Users can also now easily backup their mobile devices to a MAC computer when using Zapya Pro or Zapya VIP. Zapya MiniGame is an online gaming platform that connects people from near and far so that they can play the hottest single and multiplayer games available right now. Zapya Go is a lightweight file sharing application certified by Google for Android Go that has free online games available for download and is compatible with Zapya. RecorderZ is a free screen recording application that leaves no watermark or logo on the videos recorded with it. FileZ is a straightforward file manager that allows users to efficiently explore all the files on their mobile device so that they can get rid of files that might be slowing the device down. Over this past year, Zapya solidified its partnership with Honor, a sub-brand under the Huawei Group. Zapya and Honor share the same core beliefs of providing low cost, high quality products for their users and relentlessly creating technological innovations. Thanks to their shared beliefs, they successfully collaborated together on three contests in 2018. Through submitting their predictions on who was going to win the FIFA World Cup, Zapya users had the chance to win the Honor 10 and Honor 9 Lite. Zapya users tested their luck in this contest by collecting lucky numbers daily. On the final day on the contest, the winning lucky numbers were announced and those who were lucky enough won the Honor 8x. In order to celebrate the release of the new Honor 10 Lite, Zapya users had the chance to win the phone through submitting photos of themselves using Zapya’s Splash Facebook Filter.